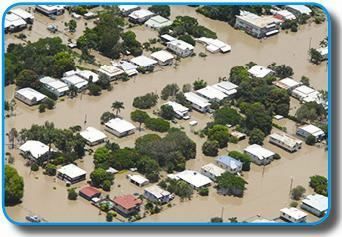 The proposed South Rockhampton Flood Levee has fallen at the funding hurdle. Mayor Margaret Strelow confirmed yesterday that the Rockhampton Regional Council’s application for State Government funding had been unsuccessful. The council needed funding from both the state and federal governments for the $48million project to proceed. While Cr Strelow was left to rue an opportunity missed, she made it clear the flood levee was still very much on the radar. But Local Government Minister David Crisafulli said Cr Strelow and the council needed to show there was a clear vision and widespread community support for a flood levee to go ahead. “It’s up to residents, business people, community groups and local MPs to decide if the cost of building a levee is worth it,” he said. Cr Strelow said there had been announcements of funding for flood mitigation from one end ofQueensland to the other over the past few months. Cr Strelow said this had been “a rare period in history” when a State Government was willing to fund big picture, long-term flood mitigation. “Now that the rush of meeting the deadline for funding applications is no longer driving us, we have an opportunity as a community to take a more measured approach in planning a flood-resistant future,” she said. Late last night Rockhampton councillor Stephen Schwarten said “the whole thing has been a monumental waste of time, money and effort”. “The overwhelming public opinion has been against this,” Cr Schwarten said.